The editor of the conservative magazine Commentary has apologized and deleted his Twitter account, after posting that journalism schools should be bombed. 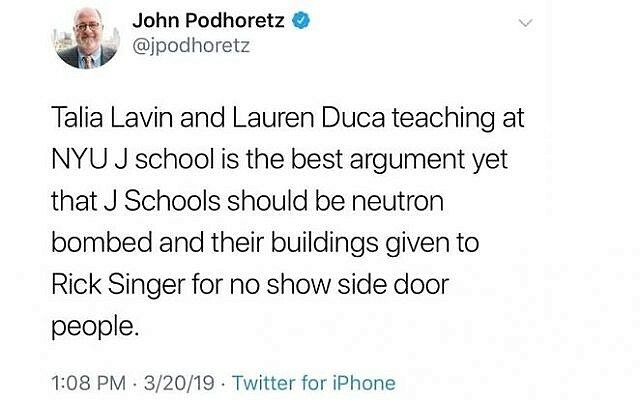 “Talia Lavin and Lauren Duca teaching at NYU J school is the best argument yet that J Schools should be neutron bombed and their buildings given to Rick Singer for no show side door people,” John Podhoretz tweeted last week. Singer is a central suspect in the recent college admissions bribery scandal, in which he allegedly took large sums from wealthy parents and falsified information to get their children admitted to prestigious colleges. Both Duca and Lavin are known for their left-wing views and teach in New York University’s Journalism department. Lavin resigned from The New Yorker last summer, after falsely accusing a disabled Immigration and Customs Enforcement agent of having a Nazi tattoo. Podhoretz subsequently deleted his Twitter account, but copies of the post continued to circulate on social media. 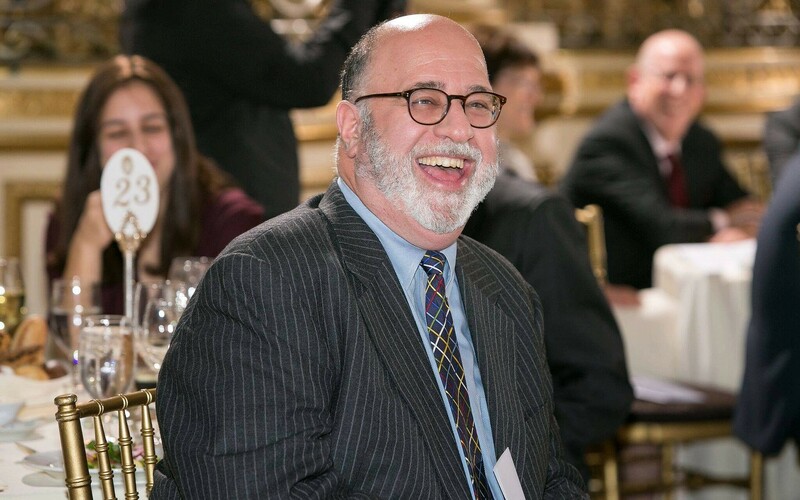 “Let me assure anyone who might have believed otherwise from my tweet that I love my profession and I do not wish to see any fellow journalists come to harm,” Podhoretz said in his apology. Lavin rejected Podhoretz’s mea culpa. “I don’t accept the apology of a man who will neither recognize nor atone for his rank, abusive misogyny. Stay gone, Podhoretz,” Lavin tweeted. Podhoretz’s attack on the left-wingers did not escape barbs from the right as well, drawing a sharp rebuke from the US far-right outlet Breitbart News. “In front of the whole wide world, one of this country’s most insufferably snobbish and entitled mouths got self-owned into deleting himself from Twitter because that was his only hope of salvaging what’s left of his career and reputation,” Breitbart commented on its website.